I believe in people and I know that it’s never too late to have a meaningful career and fulfilling life. I know when people are fulfilled, they change their families, communities, and the world around them. I also know that when people chase a dream while lacking self-worth, it affects everything, including the money they make, and it doesn’t have to be that way. Regardless of what industry my clients are in, the results from our work together last a lifetime. I used to make life choices from the perspective of “this is what I should do.” I intimately know that place where I deeply hoped that there was something different, but was afraid that I was too lost to change my life. I did a great job of keeping up the outward appearance that everything was fine, despite losing myself in depression, insomnia, divorce, and not feeling like I fit in anywhere. When I had finally had enough, I sought dedicated support from others who could see the path that I couldn’t and I re-created my life. I transformed everything from my career, to my health, to my relationships. I now live a thriving life and love my career. Yet, I didn’t get here by myself, which is part of my dedication to supporting others create whole-life wellness starting with their careers. With over 15 years of experience in coaching people to live their dreams and maximize their success, my corporate background of 20 years developed a wide breadth of skills, knowledge, and experience through various corporate roles enabling me to speak your language and get you. While I was getting my degree in Georgia Tech, I worked at IBM, which led me to a position in the banking industry. While I was in banking, I started in technical support, which led to training, which led to marketing. When I was training, I was on the road visiting the business to train our software and how it could add value to their time and bottom line. This got me in front of corporations and small businesses in industries from textiles, to resorts, a pig farm (where the owner wanted to gift me a pig to take home), to non-profits, to government agencies. If I haven’t personally worked in the industry, I’ve touched it somehow. This also gave me the opportunity to see the challenges and depth of a wide variety of industries. I saw how people of all industries and experience levels struggle with the same things and I’m grateful that I get to help people with those things on a deeper level now. My iPEC Coaching Certification allows me to help you identify and reprogram all self-limiting beliefs. In addition to my knowledge and experience with career advancement, this empowers my clients to build a solid foundation internally and the external skill sets required to reach their goals. Getting out of the box to see another point of view you’ve never even considered or thought was possible requires a skill to see beyond every-day thinking, even for ambitious and smart people who are really good at what they do. This skill set is what I’ve mastered with my coaching education and years of experience working directly with clients from all industries, backgrounds, and goals. As well as being a Certified Professional Coach, I attended a one-year coaching training for Holographic Coaching and received my Wellness Inventory Certification. 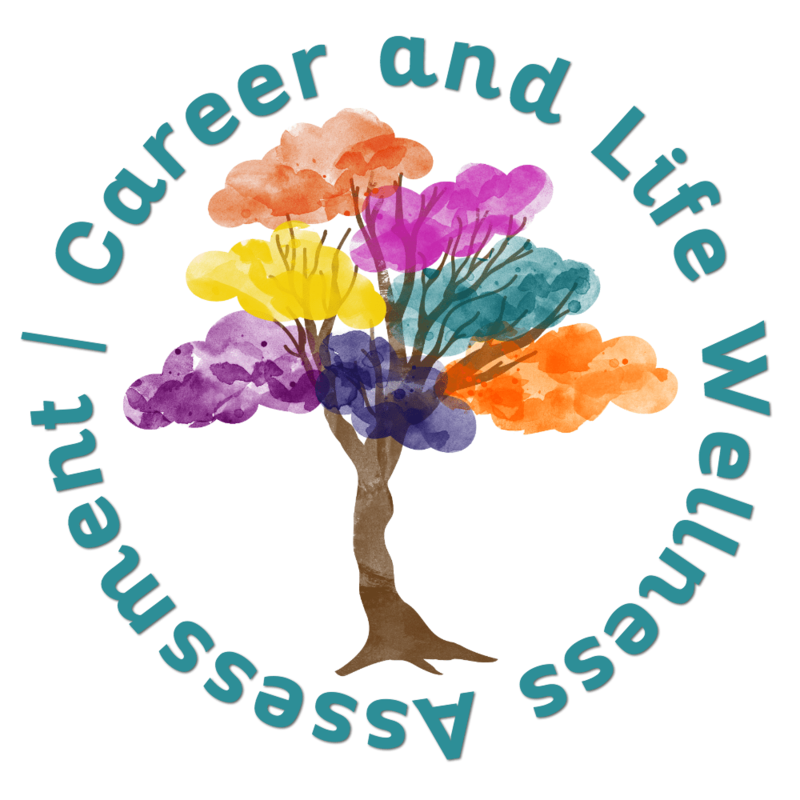 Being able to assist my clients with whole-life balance and wellness is a crucial factor in how I’m different than other career coaches and strategies. After this certification, I graduated from iPEC, the Institute for Professional Excellence in Coaching, which is one of the largest ICF (International Coaching Federation) -accredited coach training schools in the world. I’m an ELI-MP (Energy Leadership Index™-Master Practitioner), which is a one-of-a-kind assessment that enables leaders to clearly see their perceptions, attitudes, behaviors, and overall leadership capabilities. This program is where I specialized in Executive Coaching. The biggest benefit I see with this skillset is I know that my clients are never as stuck as they think they are and my skills help them see that so they can make a change. Additionally, my love and expertise of health and wellness further supports my clients to achieve far beyond career satisfaction. What is Wellness? With so many definitions out there, I define it as a conscious, self-directed and evolving process of achieving full potential. It’s multi-dimensional and holistic, encompassing lifestyle, mental and spiritual well-being, and the environment. The track record that I have with my clients is impeccable. As you can see from the testimonials, my coaching approach is life changing. You can change your career and life at ANY time and at any age. I am, you are, WE are beautiful, precious, unique, and amazing. Vision and passion can conquer ANY obstacle. You will never know your limits until you push yourself. Make your determination bigger than your excuses. Fear and comparison are the thieves of joy. Learning never stops. Ever. There may never be a day when we have it all together like we thought we would, BUT we have something better – the ability to love life today and do the best we can with all we’ve got. 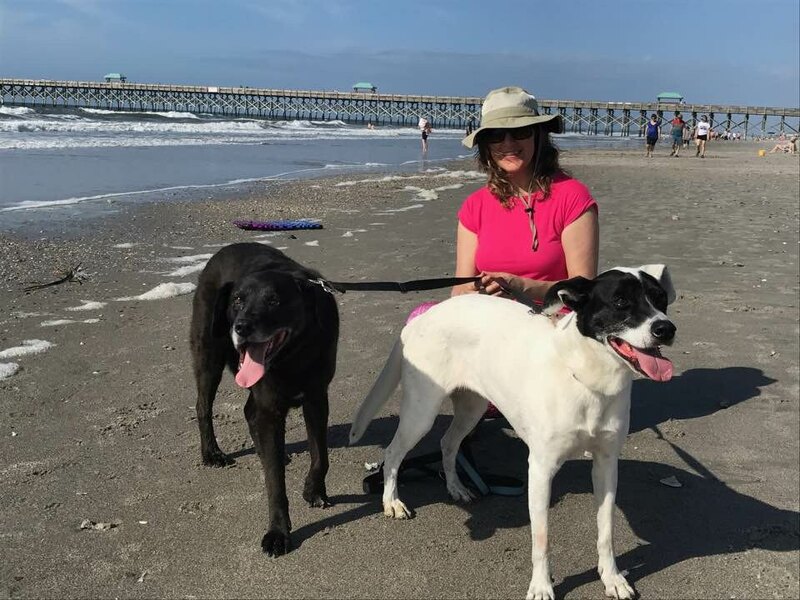 This is Henry and Luna on their second trip to the beach, which was Folly Beach in South Carolina. While they weren't sure about the beach at first, these two rescue dogs sure love their walks. 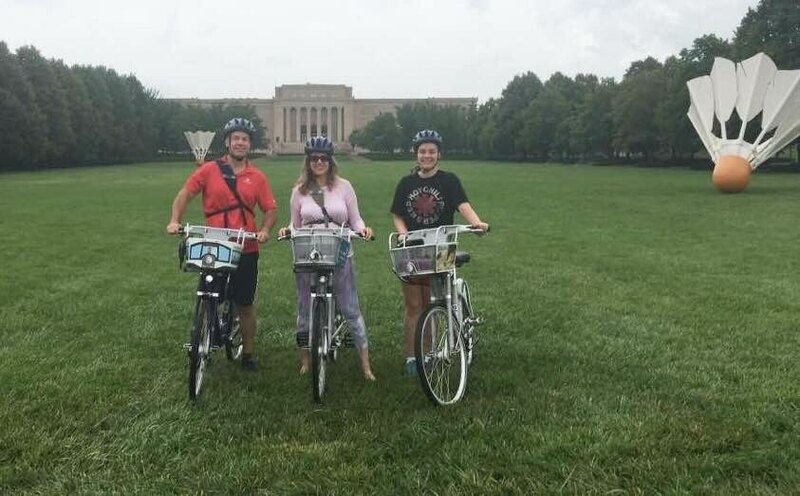 I love seeing the world and this road trip with my husband and step-daughter was to Kansas City where we took a bike tour and saw the Kansas City Museum. 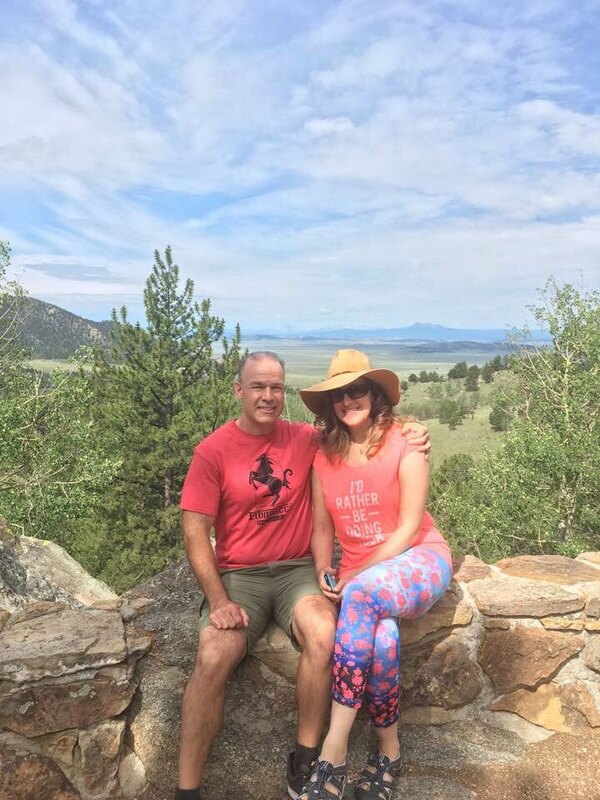 During a vacation to Wilkerson Pass in Lake George, Colorado, my husband and I enjoyed the backdrop of the mountains and plateaus. 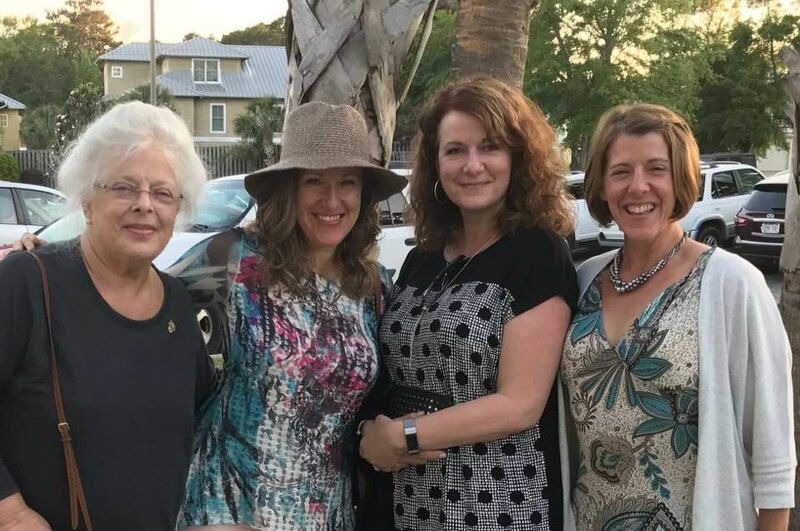 One of my favorite memories from this trip to Pawleys Island with my sisters and mom was the laughing and storytelling at the restaurant bar. Just being together and connecting with them was wonderful. 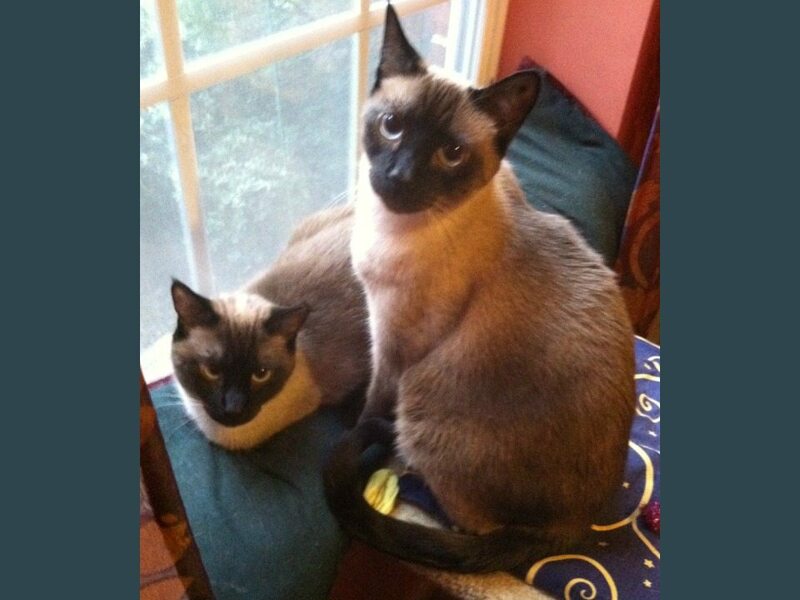 When I went to the shelter to pick up ONE Siamese cat, Simon and Sammy were there together and both end up coming home with me. Why Siamese? It reminds me of my dad who loved Siamese cats. The love we have for our rescue pets is undeniable. 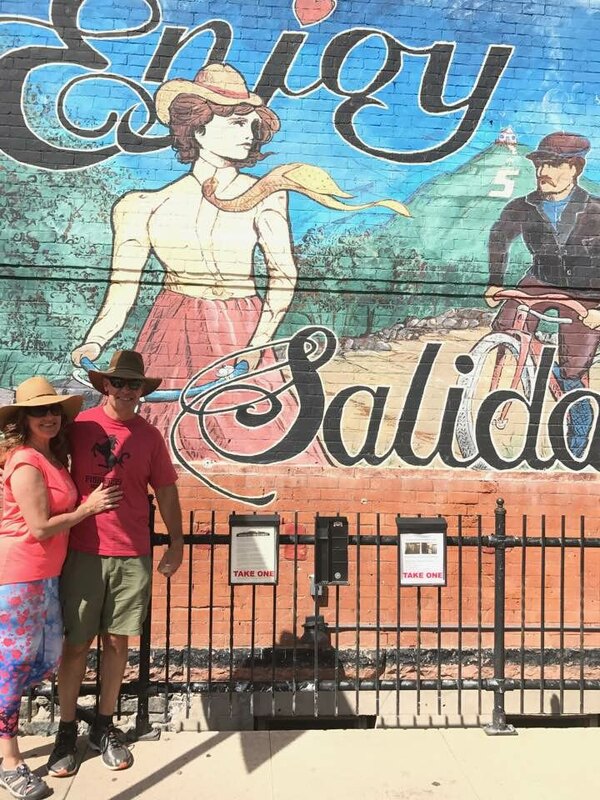 On a vacation to Colorado, my husband and I discovered this great hipster town of Salida. This mural caught our eye and fed our love of culture, art, and creativity. 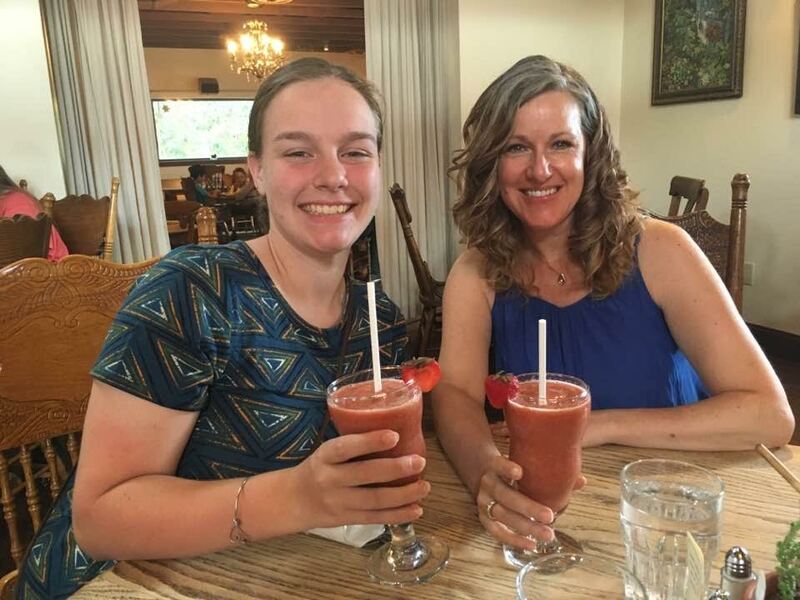 I took my step-daughter out for a night on the town to a delicious farm-to-table restaurant (one of my favorite dining experiences) where we enjoyed the most amazing smoothie. It's always a treat to nurture my taste buds with healthy food. What is the common denominator to your client's success? They are motivated to go for it. They are tired of being frustrated and unfulfilled. They choose something different instead of waiting for it to happen. What’s the biggest assumption and mistake people make when creating a new career path for themselves? The biggest assumption is that it’s easy to do. The biggest mistake is that they don’t have a well thought out strategy. What is the #1 quality you look for in clients? The top quality I look for in my clients is that their priority is growth and development and they are willing to grow themselves to create a change. It’s a red flag when a client isn’t willing to be vulnerable because it sets them up to make things much harder than it needs to be. There is a perfect “place” for each of our unique talents and gifts. I am a stand for high integrity and speaking your truth. I also stand for diversity and equality. Perhaps it’s from being raised in a military family and living in so many places and connecting with so many people of all different backgrounds, religions, race, and background. Everyone deserves respect. Everyone has value. That I don’t have to know it all right now. It really is true that the joy is in the journey, not the destination. I would have slowed down more to enjoy the path that always unfolds right on time and not a second before. I am happy when I am a model for my clients in Career Life Integration. It’s important to me to live what I teach. When I see clients who were hopeless to then turn around and create something entirely different in their lives! The arts, reading, jewelry design, fashion, hiking, kayaking, biking, and skiing. Learning new things! I enjoy good food, typically farm-to-table meals and I also love all things wellness, including nutrition and yoga. I would want to flip between the beach and mountains with a combination of family time, eating good food, being active like hiking, biking, kayaking, and have plenty of time to do yoga and relax. I have been blessed to have been all over the US, most of Europe and parts of South America as well as the Canary Islands. So really, it could really be anywhere that would allow for the things I mentioned above. What do you love most when working with your clients? I love their excitement when they see things from a new perspective, which becomes a positive game-changer in their career and life. I love when they get excited about achieving their goals no matter how small they are. I can see and feel the fulfillment they are experiencing! The unwillingness to see other perspectives. When you change the way you look at things then you’ll see possibilities and potential that you’ve never seen before. When I see people miserable in their careers and lives and they feel that there is nothing they can do to change it so they become complacent. I see the ripple effect of this cycle and it’s a constant motivator to me to reach those people and let them know that it’s never too late to make a change. When people misrepresent themselves in a way that impacts other people. For example, they portray themselves to have a certain skillset and they actually don’t. Honesty is an essential value in my life. How do you find your connection? I believe there is a connection greater than ourselves and I’ve personally found that connection through meditation and spirituality. Spirituality is a very individual thing and so is finding your path to that personal connection. Everyone has their own path and I support my clients to deepen their self-worth and connection in their daily life in conjunction with a deeply fulfilling career. No matter where you are in life, it’s never too late to create a change.